All for one – one for all! 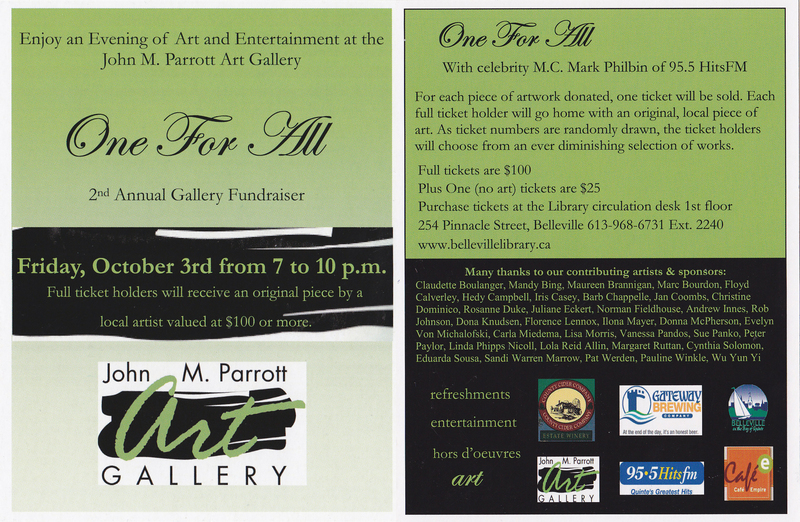 Mark your calendars so you don’t miss the 2nd Annual Art & Entertainment Fundraiser for the Parrott Art Gallery! Purchase a $25 ticket to enjoy music, beer & cider, and hors d’oeuvres OR purchase one of 37 tickets for $100 to receive a piece of local art valued at more than $100!